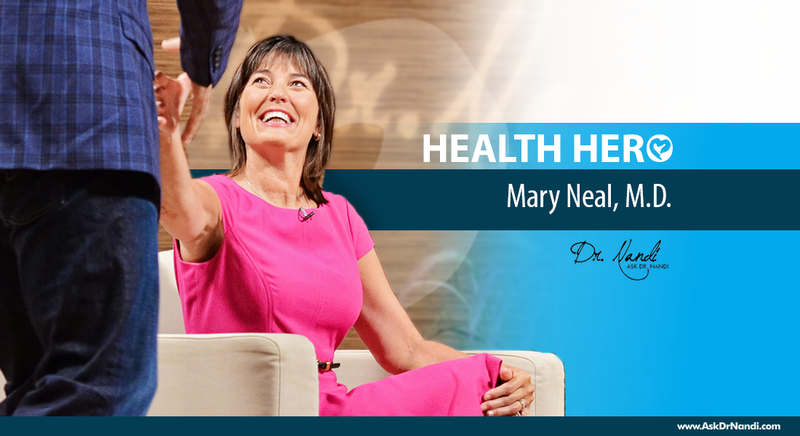 Dr. Mary Neal is a board-certified orthopedic surgeon and she is also a Dr. Nandi Health Hero. What makes Dr. Neal the Health Hero is not what she does with her practice but it is her experience of life and death and what it has taught her about living. Dr. Neal is an avid kayaker who almost lost her life in Chile doing what she loves. On a kayak trip, Dr. Neal was pinned under the water in her kayak. When they were finally able to free her, she needed CPR because her heart had stopped. Dr. Neal was always a water person who was afraid of drowning. As she lay on the banks of the river, others were performing CPR but she felt herself slipping away. As she was preparing for her final journey, she was told that she had to return to her family. She was told that she had to go back and prepare for the coming death of her oldest son. And she was told to share her experience with others. She was given a mandate to share her experience with other people and the giving of my self in that way, help other people see God in their own lives. Because it’s only when you find God working in your own life that you can make this transformation from a hope or faith to a complete trust in the promises of God which changes your life. Watch Dr. Neal share her personal story below.